Comfortable newly renovated double rooms with two separate beds and access to a guest kitchen. Large and comfortable rooms with a kitchenette if you want to cook something tasty in the evening! 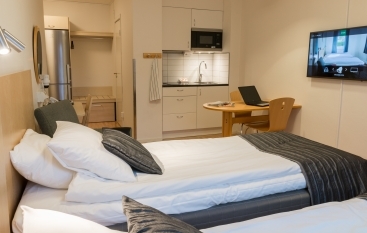 Visiting Liköping with your family?have a look at our familyrooms!